I've said it. I was about to say it sooner or later wasn't it? Christmas. Roughly only 20 weeks left until the big day! I can't wait. I actually feel and act like a big kid at Christmas time. I have started buying Christmas presents already. Not because I am just super excited about it but because I need to budget my Christmas. Christmas can be a very expensive time of year for everybody. As parents we want do want to spoilt our children on Christmas, it's natural that we do. To me, Christmas is a day for family. But when you have children, you want them to have all the presents they wished for. You want them to be happy and get excited for opening the presents in the morning, left by Santa. I am really looking forward to the Christmas songs starting this year. Did you know that the best selling Christmas song of all time is Bing Crosby's 'White Christmas', selling over 50 million copies worldwide since 1942! Are you a fan of that song? I love it. Buy Now Pay Later - There are many catalogues around these days which allow you to do payment plans such as Buy Now Pay Later. Usually these are to be paid within 6 or 12 months. I would advise you only to go through this if you are 100% sure that you be on top of payments each week/month. Buy in advance - You could do what I am doing and buying the Christmas present s a few months earlier. Instead of having that Christmas shopping stress doing it all in one go, it can be a lot less stressful doing it sooner. Organise - Be organised before you go shopping. Write down what you want and for who. This can make your price total smaller and shopping less stressful too, bonus! Cut down on gifts - You don't have to buy for every single family member and every single friend you have. If your family members have children, then you can just buy gifts for the children and the same with friends too. It will safe you a lot of money and it will save the other people money too if they agree to do the same thing back. Homemade - With some things such as some gifts, decorations and cards, you don't have to go out shopping and spend loads. You could sit down with the kids, buy a lot of crafts and let them make some gifts, decorations and cards for people. They are much more personal than going out spending loads on a gift. Have you started buying for Christmas this year? 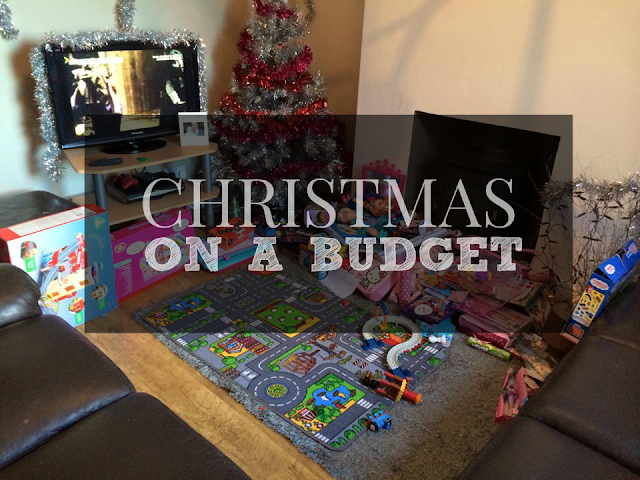 Have you got any tips on budgeting for Christmas?